Građanski nogometni klub Dinamo Zagreb, commonly referred to as GNK Dinamo Zagreb or simply Dinamo Zagreb (pronounced [dinamo ˈzâːɡreb]), is a professional Croatian football club based in Zagreb. The club was founded in 1911 as 1. HŠK Građanski or fully Prvi hrvatski građanski športski klub (English: First Croatian Citizens' Sports Club), 1945 changed name to Dinamo Zagreb. They play their home matches at Stadion Maksimir. They are the most successful club in Croatian football, having won 20 Croatian Football League titles, 15 Croatian Football Cups and five Croatian Football Super Cups. The club has spent its entire existence in top flight, having been members of the Yugoslav First League from 1946 to 1991, and then the Croatian First League since its foundation in 1992. After the Second World War, the new communist regime considered clubs like HŠK Građanski as fascist and nationalistic. As such, they were banned, and, in 1945, NK Dinamo was founded as a club to act as an unofficial successor to HŠK Građanski, getting around the ruling party's disapproval. They entered the Yugoslav First League in its inaugural 1946–47 season, finishing as runners-up. In their second season in Yugoslav top flight in 1947–48 they finished as Yugoslav champions, which was their first major trophy. The club won three more league titles and seven Yugoslav Cups. Amid the breakup of Yugoslavia and formation of the Croatian football league system, Dinamo left the Yugoslav league in 1991. Dinamo are the only Croatian club with European silverware, having won the 1966–67 Inter-Cities Fairs Cup by defeating Leeds United in the final. They also finished runners-up in the same competition in 1963 when they lost to Valencia. Until the early 1990s, its foundation year was considered to be 1945 but amid political turmoil during the breakup of Yugoslavia the club began claiming direct lineage to pre-WWII clubs Građanski Zagreb and HAŠK. In order to reflect this, in June 1991, it was renamed HAŠK Građanski, which lasted until February 1993 when it was renamed Croatia Zagreb. They won five league titles and participated in the 1998–99 and 1999–2000 UEFA Champions League group stages carrying that name before reverting to "Dinamo Zagreb" in February 2000. Although the subject was dropped for a while, in 2011, club management increasingly began claiming that Dinamo is the direct descendant of Građanski (which had originally been founded in 1911 and disbanded in 1945) and in April that year decided to prepend the adjective "Građanski" to the club's official name, turning it into the present-day GNK Dinamo (Građanski nogometni klub Dinamo or "Citizens' Football Club Dinamo"). The team's traditional colour is royal blue, which has been replaced for European matches in recent times with the darker navy blue. The club's biggest rivals are Hajduk Split, and matches between the two teams are referred to as "Eternal Derby." One of the club's most notable wins came in the 2015–16 UEFA Champions League group stage, which was a 2–1 home victory against English side Arsenal, their first ever Champions League victory since the 1999–2000 season. Another notable match was a 0–0 draw against Manchester United in the 1999–2000 season, who were the European champions at the time, with many fans considering it one of Dinamo's finest performances in the club's history. In the immediate aftermath of World War II, the three most successful Zagreb-based clubs—HAŠK, Građanski and Concordia—were all disbanded by a decree issued by the communist authorities in May 1945. In order to replace them, a new sports society called FD Dinamo (Croatian: Fiskulturno društvo Dinamo) was founded on 9 June 1945. The new club inherited Građanski's colors and fan base, with most of Građanski's players continuing their careers at Dinamo. In the first few years, the club played their home matches at Građanski's old ground, Stadion Koturaška, but soon moved to former HAŠK's old ground at Stadion Maksimir. In addition, former Građanski manager Márton Bukovi was appointed Dinamo's first manager. The most notable Građanski players who joined Dinamo upon its formation were August Lešnik, Mirko Kokotović and Franjo Wölfl. Of the HAŠK players that joined Dinamo, the regulars in the first team soon became Ratko Kacian, Željko Čajkovski, Svetozar Peričić and Dragutin Lojen. Following its formation, the club entered Yugoslav First League in its inaugural 1946–47 season and finished runners-up, five points behind champions Partizan. In the following 1947–48 season, Dinamo won their first trophy after winning the Yugoslav championship with five points ahead of Hajduk Split and Partizan. In the 1951 season, the club finished runners-up again, but compensated with their first Yugoslav Cup title after defeating Vojvodina 4–0 in the two–legged final. Dinamo later added three more cup titles (in 1960, 1963 and 1965) and two championship wins (in 1953–54 and 1957–58). In addition, they were also cup runners–up on three occasions (in 1950, 1964 and 1966). Dinamo first entered European competitions in the preliminary round of the 1958–59 European Cup, but were knocked out by the Czechoslovak side Dukla Prague. The club then had some success in the 1960–61 European Cup Winners' Cup, as they managed to reach the semi-finals where they lost to Italian side Fiorentina. They have also competed in the 1961–62 Inter-Cities Fairs Cup, but failed to progress beyond the second round in which they were knocked out by Barcelona. However, in the 1962–63 Inter-Cities Fairs Cup, Dinamo managed to reach the final, but lost 4–1 on aggregate to Spanish side Valencia. In the 1963–64 European Cup Winners' Cup, they made an early exit in the first round after a defeat to Scottish side Celtic. During this period, many of Dinamo's star players were also integral part of the Yugoslavian national team, including Željko Čajkovski, Zlatko Škorić, Krasnodar Rora, Denijal Pirić, Dražan Jerković, Ivica Horvat, Slaven Zambata and Rudolf Belin. Three Yugoslav clubs went on to participate in the 1966–67 Inter-Cities Fairs Cup, but they were knocked–out early in the competition, excluding Dinamo, who went on to become the first ever Yugoslavian team that won a European competition. In the first round, Dinamo played against Spartak Brno and after the aggregate score was level at 2–2, a coin was flipped in order to determine the winner. Dinamo was through to the second round, where they were drawn against Scottish side Dunfermline. For the first time in the history of the Cup, the away goals rule were introduced, which helped Dinamo qualify for the third round after the aggregate score was 4–4 (2–0 at home and 2–4 away). On their road to finals, they defeated Romanian side Dinamo Piteşti, Italian powerhouse Juventus and German side Eintracht Frankfurt. In the finals the club was drawn to play its first match at Maksimir against Leeds United. Dinamo won 2–0 in front of the 33 thousand fans with Marijan Čerček and Krasnodar Rora scoring, which was enough to secure the title as the match at Elland Road finished 0–0. Dinamo closed the successful 1960s with Yugoslav Cup title in the 1969 and quarterfinals of the 1969–70 Cup Winners' Cup competition. Unfortunately, the success did not follow the club to the new decade, as they failed to win a single trophy throughout the 1970s. The club participated in three more seasons of Inter-Cities Fairs Cup before it was replaced with the UEFA Cup, but failed to make any impact. Dinamo took part of the initial UEFA Cup season, but lost in the second round of the competition to Rapid Wien on the away goals rule. The club entered the UEFA Cup on seven more occasions (in 1976, 1977, 1979, 1988, 1989, 1990 and 1992), but never repeated its success from the '60s. Finally, at the beginning of the 1980s, Dinamo won their sixth Yugoslav Cup title, defeating Red Star Belgrade 2–1 on aggregate. They then qualified for the 1980–81 Cup Winners' Cup but lost in the first round to Benfica. In 1982, Dinamo sealed their fourth Yugoslav championship and in 1983 won their seventh Yugoslav Cup, the club's last trophy as a part of the SFR Yugoslavia. After Benfica, another Portuguese club sealed Dinamo's European season, this time in 1982–83 European Cup when they lost to Sporting CP. They played in 1983–84 Cup Winners' Cup season and were eliminated, again, by Portuguese side Porto. The club did not have any success in the second part of the 1980s, save for two consecutive second-place finishes in the Yugoslav championship in 1989 and 1990. After the SFR Yugoslavia was dissolved, Dinamo took part in creating the Croatian Football League and the initial season was played in 1992. The same year, the club controversially changed its name to HAŠK Građanski, and another name change followed in 1993, when the club was renamed to Croatia Zagreb. The name change was widely seen as a political move by the leadership of then newly independent Croatia, with the goal of distancing the club from its communist past. As the name change was also never accepted by their supporters, the club renamed themselves back to Dinamo on 14 February 2000. As Croatia Zagreb, the club won six Croatian championships, of which five were won in a row from 1996 to 2000. During this period, the club also won the Croatian Cup four times. In the late 1990s, the club played two consecutive seasons in the UEFA Champions League group stage. In the 1998–99 season, they were drawn in a group with Ajax, Olympiacos and Porto. After disappointing performances in the first three matches, in which they managed to draw against Ajax at home and lost their away matches against Olympiacos and Porto, they performed well in the remaining three matches, beating Porto at home and Ajax away, as well as drawing Olympiacos at home. However, they failed to advance to the quarter-finals as the second-placed team behind Olympiacos. In the 1999–2000 season, they were drawn in a group with defending champions Manchester United, Marseille and Sturm Graz, but managed only a fourth–place finish in the group with two draws and one win. They most notably held Manchester United to a goalless draw at Old Trafford in their opening Champions League match that season. The club also competed in two consecutive seasons of UEFA Cup—in 1996, they were knocked out in the second round, while in the 1998, they managed to reach the third round, losing to Atlético Madrid 2–1 on aggregate score. The club subsequently participated five times in the third qualifying round of the Champions League, in 2000, 2003, 2006, 2007 and 2008. However, they played against Milan, Dynamo Kyiv, Arsenal, Werder Bremen, Shakhtar Donetsk and failed to win a single match, losing 6–1 on aggregate to Milan, 5–1 on aggregate to Dynamo Kyiv, Shakhtar Donetsk and Arsenal and 5–3 on aggregate to Werder Bremen. Since the qualifying rounds format changed, Dinamo was unable to get through to the play-off round, losing 3–2 on aggregate to Red Bull Salzburg in 2009. Before the UEFA Cup group stage phase was introduced, Dinamo's best success in the competition was reaching the second round of the competition on three occasions. They were able to reach the group stages in 2004–05, 2007–08 and 2008–09, but failed to secure qualification to round of 32. UEFA then introduced Europa League competition which had slightly changed format compared to that of the UEFA Cup. Dinamo was able to qualify for the group stage of the initial 2009–10 Europa League season after beating Scottish side Hearts 4–2 on aggregate. In domestic competitions, the club was able to secure five league titles and won the Croatian Cup on six occasions, in addition to four Croatian Supercups. The club has also produced many footballing talents that have represented the Croatian national team on the international level in the 2000s, most notably Luka Modrić, Eduardo, Vedran Ćorluka, Niko Kranjčar and Tomislav Butina. Dinamo once again qualified for the Europa League in 2010–11, finishing third in group D behind PAOK and Villarreal and ahead of Club Brugge. Dinamo was very close to finishing second after wins against Villarreal at home (2–0) and Club Brugge away (0–2), but failed to win in their last game against PAOK at home (lost 0–1), thus failing to qualify for the next stage. Dinamo managed to reach the group stage of the Champions League in 2011 after beating Neftçi Bakı (3–0 at home, 0–0 away), HJK Helsinki (2–1 away, 1–0 at home) and Malmö FF (4–1 at home, lost 2–0 away). They were drawn in group D alongside Real Madrid, Lyon and Ajax. Dinamo finished last in the group stage, with a −19 goal difference and 22 total goals conceded. They lost both matches against all teams—Real Madrid (0–1 at home, 6–2 away), Lyon (1–7 at home, 2–0 away) and Ajax (0–2 at home, 4–0 away). The only highlight of the campaign being two late consolation goals in the final match of the group at the Santiago Bernabéu Stadium, the only goals Real Madrid conceded in that group. The following season, Dinamo once again managed to qualify for the Champions League group stage after defeating Ludogorets Razgrad, Sheriff Tiraspol and NK Maribor. They were drawn in group A alongside Porto, Dynamo Kyiv and Paris Saint-Germain. However, they failed to reach the next stage after recording just one point and a −13 goal difference, with their best result a 1–1 draw with Dynamo Kyiv at the Stadion Maksimir. In the 2015–16 Champions League, they defeated Fola Esch 4–1 (1–1 at home, 3–0 away) in the second qualifying round, Molde 4–4 (1–1 at home, 3–3 away, winning on away goals) in the third qualifying round, and Skënderbeu Korçë 6–2 (2–1 away, 4–1 at home) in play-off round, later being drawn into group F alongside Bayern Munich, Arsenal and Olympiacos, where they notably defeated Arsenal 2–1 at home on 16 September 2015. The club won the domestic double, securing both the league title and the national cup. In the 2016–17 season, Dinamo failed to win the league title for the first time since the 2004–05 season, and also failed to win the cup for the first time since 2014. In the 2016–17 UEFA Champions League, they defeated Vardar 5–3 (2–1 away, 3–2 at home) in the second qualifying round, Dinamo Tbilisi 3–0 (2–0 at home, 1–0 away) and Red Bull Salzburg (1–1 home, 2–1 away after extra time). They were drawn in group H against Juventus, Sevilla and Lyon. However, the club endured an extremely unsuccessful group campaign, scoring 0 goals and conceding 15 goals in six matches. The club also failed to win the league title and the cup, losing both trophies to rivals Rijeka. The 2016–17 season was considered by many as one of Dinamo's most unsuccessful seasons in the club's history. In the 2017–18 season, Dinamo agreed a kit deal with German multinational company Adidas. Their qualifying campaign for European competition began in the third round, beating Norwegian club Odds BK, 2–1 on aggregate (2–1 home, 0–0 away), but were knocked out by Albanian side Skënderbeu Korçë (1–1 home, 0–0 away, losing on away goals). The club failed to qualify for European competition for the first time since 2006. The club's league campaign was successful, going unbeaten for 21 games before losing to rivals Hajduk Split, but two abysmal performances against Rijeka and Lokomotiva caused Mario Cvitanović to resign from his position as manager. Nikola Jurčević then took over as manager. However, after a disastrous form in early May, Jurčević was sacked as manager. After much speculation, Nenad Bjelica, who was recently released from his previous club Lech Poznań, took over as manager of the club. Dinamo won the 2017–18 Croatian First Football League title, and won the 2017–18 Croatian Football Cup, beating Hajduk in the final. On 6 June 2018, the former executive director and advisor of the club, Zdravko Mamić, was sentenced to a six-and-a-half-year prison sentence for corruption. On the same day, the club released a statement on their official website, in which they claimed that they were "shocked" with the verdict, also claiming that they "firmly believe" that Zdravko Mamić and the others who were sentenced are innocent. In the 2018–19 UEFA Europa League, Dinamo qualified for the knockout phase, making it the first time in 49 years that the club will play in European competitions in the winter. In the Round of 32, Dinamo drew Czech side FC Viktoria Plzeň, losing 2-1 in the first leg but roaring back to an aggregate win with a 3-0 home victory. In the Round of 16, Dinamo drew Portuguese side S.L. Benfica, win 1-0 at home in front of 29.704 people. A mural in Zagreb commemorating the club's 1966–67 Inter-Cities Fairs Cup-winning generation. Dinamo Zagreb's tally of 20 Croatian First League titles is the highest in Croatian football. They were runners-up in the league four times, and only on four occasions have they concluded a season of Prva HNL finishing out of the top two places in the final standings. The team is also the most successful Croatian Cup competitor, appearing so far in 16 of the Cup's 27 staged finals, 15 of which they have won. In addition, they have qualified for eight Croatian Supercups, winning five times. This makes them, along with Hajduk Split, a joint-record holder in the number of Croatian Supercup appearances and titles. Furthermore, the team managed to achieve the double eleven times, being both the Prva HNL champions and the Croatian Cup winners from 1996 to 1998, again from 2007 to 2009, from 2011 to 2012 and most recently from 2015 to 2018. During the time Dinamo competed in the Yugoslav football league system, they were Yugoslav First League champions four times. The team had won 7 Yugoslav Cup editions. Overall, the club won 50 official domestic titles and two competitive international tournaments, the 1966–67 Inter-Cities Fairs Cup and the 1976 Balkans Cup, making it a grand total of 53 titles won. Dinamo Zagreb is a registered corporate personhood, more precisely a nonprofit organization that, unlike the football clubs organized as limited companies, does not issue shares, and, consistently with the Croatian law for citizens' associations, does not pay income tax. Consequently, the club is obliged to issue publicly assessible memberships. Each legally capable member of Dinamo has an equal say in its democratic processes; for example, the elections for the representatives in the chairmanship of the club. The club's annual budget for the 2012–13 season was between €20 and €25 million, though the following season it was intentionally halved to €11–12 million, drastically reducing the club's operating expenditure. The club also limited its wage budget, so that the currently highest individual player salary is €400,000 annually, although in recent years first-team players like Josip Šimunić and Ante Rukavina earned as much as €650,000–€670,000 per season. The members of an initiative Zajedno za Dinamo [Together for Dinamo], composed of Dinamo Zagreb's supporters, have been claiming that the club was silently privatised by its executive president Zdravko Mamić, and that it functions as an evidently unlawful "public limited citizens' association". Subsequently, the tax exemption granted to the club by the constitutional law came under heavy criticism, particularly in the light of the club's lucrative transfers arranged at the start of the 2000s. Jutarnji list journalist Romana Eibl asserted that during this period the club had as much as 1.36 billion kuna of untaxed revenue, partly from selling its players for exorbitant prices, while approximately 360 million kuna were received from the public funds. The former director of the club Damir Vrbanović argued that the transfers do not offer a long-term source of revenue for the club, and that the club is therefore justified in remaining a nonprofit organization. In spite of all criticism, Mamić is genuinely praised for being unprecedented in arranging some of the club's most profitable transfers of the Croatian players to top European clubs. These include the transfers[note 1] of Boško Balaban to Aston Villa for €7.8 million in 2001; Eduardo to Arsenal for €13.5 million and Vedran Ćorluka to Manchester City for €13 million in 2007; Luka Modrić to Tottenham Hotspur for €21 million in 2008; Dejan Lovren to Lyon for €8 million; Mario Mandžukić to Wolfsburg for €7 million in 2010; and Mateo Kovačić to Internazionale for €11 million in 2013. Dinamo Zagreb's home stadium is Stadion Maksimir. The stadium is situated in the northeastern part of Zagreb, opposite the city's largest urban park, Maksimir, which also lends its name to the eponymous neighbourhood. It was officially opened on 5 May 1912 and has been noticeably upgraded several times thereafter, most recently in 2011. The stadium was initially used by HAŠK, and the club became its tenant only in 1948, after the stadium was rebuilt. Before moving to Maksimir, the club played its home matches at the former Građanski Zagreb's stadium Stadion Koturaška. It is there that the club played its first official match on 23 June 1945. Its first match at the Stadion Maksimir was played on 19 September 1948 in front of a crowd of 40,000 spectators. The design of Stadion Maksimir initially included a single grandstand in a shape of a horseshoe that faced the other, much smaller stand to the north. The north stand was altered from the ground up in 1998, when it was replaced by a 10,965 all-seater stand, and also a building with 15,000 square meters of office space covered in a glazed façade. The north stand's capacity is nowadays reduced to 9,460 seats. As for the original grandstand, it is now replaced by three separate stands, although their present-day design came about after a long and toilsome process of numerous renovations, which have started almost immediately after the stadium was rebuilt in 1948. Some of the best Croatian architects at the time, such as Vladimir Turina, Eugen Erlich and Franjo Neidhardt, worked on this project. Prior to Croatian secession from the SFR Yugoslavia, the restructuring of the stadium was never completed as thoroughly as it was planned, mostly because of an array of bureaucratic obstacles. Lastly, it was put in order for the 1987 Summer Universiade, but even then the final appearance of the stadium was less satisfactory than what was to be expected. Some progress was finally made in 1997 when seats were installed on both the east and south stands. Shortly before the 1999 Summer Military World Games, the west and also the largest stand of the stadium was renovated. It comprised 12,600 seats, and a VIP section with 718 seats that also included a presidential lodge. By this time, the total maintenance expenses for Stadion Maksimir have climbed up to 362.4 million kuna. In 2006 the then mayor of Zagreb Milan Bandić announced a project worth €150 million that would see Stadion Maksimir once again completely rebuilt. By 2010, the taxpayers have vested another 288 million kuna on maintenance and restoration of the stadium, but no significant improvements were made. The arranged reconstruction of Stadion Maksimir soon became an enormous financial problem for the city, and for a brief period of time Bandić was planning to call a referendum in which the citizens of Zagreb would decide whether to continue with investments into Stadion Maksimir, or rather to build a brand new Stadion Kajzerica. The referendum was never held and both projects were ultimately abandoned in 2012. Nevertheless, some crucial work was done between 2011 and 2013, when the club replaced all of the seats from the four existing stands, installed the under-soil heating, ameliorated the interior of the stadium, and made some aesthetic adjustments, among others, to the colour of the stands and of the tartan track surrounding the pitch. Currently, Stadion Maksimir is listed as a 35,123 all-seater. Although the club had a good deal of followers since it was founded, its first organized group of supporters emerged only in 1986 under the name of Bad Blue Boys (often abbreviated BBB). On the BBB's official website it is stated that the name of the group was inspired by the 1983 film Bad Boys. After its founding, the group aroused great interest in Zagreb and its branches started appearing in all parts and neighbourhoods of the city. They also started being noted throughout Yugoslavia for their self-organized departures to the visiting matches of Dinamo Zagreb, desiring to voice their support for the club, and also for the City of Zagreb and Croatia. During the team's home matches, the BBB traditionally situate themselves on the north stand of Stadion Maksimir. The BBB and the rest of the club's supporters view Hajduk Split's supporters as their most notable rivals, or more specifically the former's ultras group, Torcida Split. The BBB are often accused for hooliganism, which has already resulted in both UEFA and Croatian Football Federation disciplinary bodies issuing financial punishments for Dinamo Zagreb on several different occasions for the group's flagrantly unlawful and violent conduct. This ill-suited behaviour includes property damage, fights with repressive apparati (both on and outside the stadiums), flare throwing and racist chants, especially those associated with the ultranationalist Ustaše regime of the Independent State of Croatia. In spite of all this, the BBB have been praised for their constant and exceptional support during Dinamo Zagreb's matches. Dinamo's biggest rivals are Hajduk Split, and the matches between the two teams are referred to as "Eternal Derby" or "Croatian Derby." Matches between the two clubs are recognized as the most anticipated event of Croatian club football, which attracts the greatest number of spectators and most media attention of all the football matches in Croatia. There is also a rivalry with HNK Rijeka. In Yugoslav times, major rivalries used to also include Serbian clubs Red Star Belgrade and Partizan. Despite spending most of their recent history playing in the same division as Dinamo, and being from same city, NK Zagreb are not considered major rivals by the fans. The following is a list of former Dinamo players which have made significant contributions to the club while playing for its first team. The list is sorted in alphabetical order and in accordance with the specified inclusion criteria. [note 2] Players that were named in the club's "Best 11" squad are excluded from the list. In 2011, when the chairmanship of Dinamo Zagreb organized a controversial celebration of the club's disputed centennial, a group of experts, along with the club's fans, chose 11 of Dinamo Zagreb's former and current players to fit in an ideal squad in 3–4–3 diamond formation. Shown in brackets is a period in which the players played for the first team of the club. The "Best 11" squad chosen by fans and critics in 2011. The following are lists of top players in terms of number of appearances and goals for Dinamo Zagreb, as of 25 August 2011. 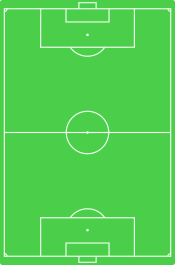 Bold denotes players still playing for Dinamo Zagreb. For a full list of Dinamo Zagreb managers, see List of GNK Dinamo Zagreb managers. ^ Only the initial fees of the transfers are taken into account. ^ At least one of the following inclusion criteria has to be met for a player to appear on the list. 1. A player has made at least 250 appearances for the club in domestic league competitions. 2. A player has scored at least 80 goals for the club in domestic league competitions. 3. A player has made at least 50 appearances in official UEFA competitions. 4. A player has scored at least 10 goals in official UEFA competitions. 5. A player appeared in the 1967 Inter-Cities Fairs Cup Final. ^ "Stadion Maksimir". GNK Dinamo Zagreb. Retrieved 2017-07-26. ^ "Članovi sportskog savez grada Zagreba" [Members of the Sports Association of Zagreb] (in Croatian). Sportski savez Grada Zagreba. Archived from the original on 18 December 2014. Retrieved 2014-11-12. ^ "NK Dinamo ponovo promijenio ime" [NK Dinamo changed its name again] (in Croatian). ZGportal Zagreb. 2011-04-13. Retrieved 2014-11-12. ^ "Dinamo od danas ima novo ime – Građanski nogometni klub Dinamo" [Dinamo from today has a new name – Citizens' Football Club Dinamo] (in Croatian). Metro Portal. 2011-04-12. Retrieved 2014-11-12. ^ "Dinamo Zagreb 2-1 Arsenal". BBC Sport. 2015-09-16. Retrieved 2018-05-30. ^ UEFA.com. "UEFA Champions League - Man. United-Dinamo Zagreb". UEFA.com. Retrieved 2018-05-30. ^ Najmenik, Damir. "Udruga navijača GNK Dinama - Orahovica - POVIJESNE UTAKMICE / MANCHESTER UNITED - DINAMO ZAGREB 0:0 (1999)". www.dinamo-orahovica.net (in Croatian). Retrieved 2018-05-30. ^ "Inter-Cities Fairs Cup 1966–67". 2008-01-09. Retrieved 10 September 2009. ^ a b "Povijest kluba" (in Croatian). Retrieved 10 September 2009. ^ "Dinamo predstavio adidas dresove | Dinamo Zagreb". gnkdinamo.hr (in Croatian). Retrieved 2018-04-30. ^ "Srušili prvake! Rudeš iz prvog udarca uspio pobijediti Dinamo" (in Croatian). Retrieved 2018-05-18. ^ "Jurčević dobio otkaz u Dinamu nakon samo 65 dana!" (in Croatian). Retrieved 2018-05-18. ^ "Dinamo predstavlja novog trenera | Dinamo Zagreb". gnkdinamo.hr (in Croatian). Retrieved 2018-05-18. ^ "Croatian football's Mr Big given jail term". BBC News. 2018-06-06. Retrieved 2018-06-06. ^ "Priopćenje GNK Dinamo | Dinamo Zagreb". www.gnkdinamo.hr (in Croatian). Retrieved 2018-06-06. ^ "Dinamo Zagreb secures a place in the knockout phase of UEFA Europa League". Croatia Week. Retrieved 2018-11-08. ^ "Veličanstvena pobjeda pred punim Maksimirom | Dinamo Zagreb". gnkdinamo.hr (in Croatian). Retrieved 2019-03-08. ^ Purić; Herceg; Kramaršić (18 July 2013). "Croatia – List of Champions". Rec.Sport.Soccer Statistics Foundation. Retrieved 4 April 2014. ^ "Povijest Prvenstva HNL-a" [History of the HNL Championship]. Nogometni-magazin.com (in Croatian). 2006. Retrieved 5 April 2014. ^ Stokkermans (3 October 2013). "Croatia – Cup Finals". Rec.Sport.Soccer Statistics Foundation. Retrieved 4 April 2014. ^ Kramaršić; Purić (25 July 2013). "Croatia Super Cup Finals". Rec.Sport.Soccer Statistics Foundation. Retrieved 4 April 2014. ^ "Dosadašnji pobjednici (prvenstvo/kup/superkup)" [Past winners (championship/cup/supercup)] (in Croatian). Udruga profesionalnih klubova Prve hrvatske nogometne lige. 2013. Archived from the original on 31 March 2014. Retrieved 4 April 2014. ^ "Jugoslavija" [Yugoslavia]. Nogometni leksikon (in Croatian). Miroslav Krleža Lexicographical Institute. 2008. Retrieved 5 April 2014. ^ Puric; Schöggl; Stokkermans (25 July 2013). "Yugoslavia/Serbia and Montenegro – Cup Finals". Rec.Sport.Soccer Statistics Foundation. Retrieved 4 April 2014. ^ Ross (25 July 2013). "Fairs Cup Summary 1958–71 (13 Cups)". Rec.Sport.Soccer Statistics Foundation. Retrieved 4 April 2014. ^ Stokkermans; Ionescu (29 July 2010). "Balkan Cup". Rec.Sport.Soccer Statistics Foundation. Retrieved 28 April 2010. ^ "Trofeji" [Trophies]. GNK Dinamo Zagreb official website (in Croatian). 2013. Archived from the original on 29 March 2014. Retrieved 11 April 2014. ^ "GNK Dinamo Zagreb" (in Croatian). Poslovna Hrvatska. Retrieved 2014-03-18. ^ a b "Zakon o udrugama" [The law on associations] (in Croatian). Zakon.hr. Retrieved 2014-03-19. ^ a b Romana Eibl (2013-02-01). "ISTRAŽUJEMO: GDJE JE MILIJARDU I 360 MILIJUNA KUNA? Mamić zaradio milijardu, dobio 360 mil. iz proračuna, a nije platio niti kunu poreza!" (in Croatian). Jutarnji list. Retrieved 2014-03-18. ^ a b c Tomo Ničota (2013-06-15). "Dinamo smanjio proračun, a kupuju kao nikad: 'Transfer Kovačića donio je stabilnost'" (in Croatian). Sportske novosti. Retrieved 2014-03-19. ^ "Zdravko Mamić: Prestanite pljuvati u tanjur iz kojeg jedete (video)" (in Croatian). GNK Dinamo Zagreb. 13 November 2012. Archived from the original on 18 March 2014. Retrieved 2014-03-18. ^ "Blagajna presušila: Mamić mora prepoloviti budžet, a svi igrači će imati fiksne plaće" (in Croatian). Sportske novosti. 2012-01-04. Retrieved 2014-03-18. ^ Davorin Olivari (2012-01-25). "Pogledajte koliko zarađuju Modri: Ruki izgubio 168.000, Sammir 'lakši' za 150.000 eura". Sportske novosti. Retrieved 2014-03-19. ^ Damir Dobrinić (2013-01-07). "Fascinantne maksimirske brojke: U eri Mamića Dinamo zaradio 1,2 milijarde kuna!" (in Croatian). Sportske novosti. Retrieved 2014-03-18. ^ a b c d "Stadion Maksimir" (in Croatian). GNK Dinamo Zagreb. Archived from the original on 29 March 2014. Retrieved 2014-03-17. ^ a b c "Dinamov stadion" [Dinamo's stadium] (in Croatian). Povijestdinama.com. Retrieved 2014-03-17. ^ "Na proljeće počinje rekonstrukcija maksimirskog stadiona" [The reconstruction of the Maksimir stadium to begin in spring] (in Croatian). Jutarnji list. 27 July 2006. Archived from the original on 18 March 2014. Retrieved 2010-06-04. ^ "Tajni troškovi: Za maksimirsko ruglo spiskali 100 milijuna eura" [Secret expenses: 100 million euros squandered on the Maksimir misshapen] (in Croatian). Jutarnji list. 2010-04-27. Retrieved 2010-06-04. ^ "Masimirsko ruglo: Treba li ga rušiti ili premjestiti?" [The Maksimir misshapen: Ought it be demolished or moved?] (in Croatian). 24 sata. 2010-03-27. Retrieved 2010-06-04. ^ Brkulj, Vedran (2012-10-17). "Bandić odustao od rekonstrukcije Maksimira i gradnje Kajzerice" [Bandić gave up on Maksimir reconstruction and building of Kajzerica]. Tportal.hr (in Croatian). Retrieved 2012-10-17. ^ "Kao na svemirskom brodu: Dinamo ima nove svlačionice" [As if on a spaceship: Dinamo has new lockers] (in Croatian). 24 sata. 2013-03-01. Retrieved 2014-03-18. ^ "Povijest" (in Croatian). Bad Blue Boys. Retrieved 2013-03-15. ^ a b c "Bad Blue Boys, White Angels". Football Derbies. Retrieved 2010-06-03. ^ "Bandić: Huligane u zatvor, ali BBB neću izbaciti iz gradskih prostora" (in Croatian). Vecernji.hr. 2010-05-03. Retrieved 2010-06-03. ^ a b "'Dinamovi huligani umirit se neće' i ustaški simboli na palicama BBB-a" (in Croatian). Vecernji.hr. 2010-05-08. Retrieved 2010-06-03. ^ "Mamić: Dosta je huliganstva, Dinamo treba potpora" (in Croatian). Dinamo Zagreb official website. 24 July 2009. Archived from the original on 28 July 2009. Retrieved 3 June 2010. ^ a b "Najveći neredi BBB-a u Hrvatskoj i Europi" (in Croatian). tportal.hr. Retrieved 2010-06-03. ^ "Šokantna kazna za Dinamo" (in Croatian). Dinamo Zagreb official website. 11 December 2008. Archived from the original on 28 June 2009. Retrieved 3 June 2010. ^ a b "Dinamo kažnjen sa samo 25.000 kuna zbog nereda na derbiju!". Jutarnji list. 2010-05-12. Retrieved 2010-06-03. ^ "UEFA kaznila Dinamo oduzimanjem tri boda te s dvije utakmice bez gledatelja" (in Croatian). Zadarski internetski portal. 2009-10-29. Retrieved 2010-06-03. ^ a b "English Fans On Bad Blue Boys: Respect!". dalje.com. 7 November 2008. Archived from the original on 30 August 2010. Retrieved 3 June 2010. ^ Dean Sinovčić (17 July 2002). "Dinamov smrtni strah od huligana" [Dinamo's mortal fear of hooligans]. Nacional (in Croatian). Archived from the original on 2 July 2012. Retrieved 2010-06-03. ^ "Dinamo je ugasio vječni derbi" (in Croatian). Sportal.hr. 2009-10-30. Retrieved 2010-06-03. ^ "Opsada Poljuda: Na derbiju skauti Chelseaja, Intera, Liverpoola..." (in Croatian). Večernji list. 2013-09-13. Retrieved 2014-03-15. ^ "Euforija na Poljudu: Karte za derbi Hajduk – Dinamo idu k'o [sic] lude!" (in Croatian). Dnevnik.hr. 2010-09-06. Retrieved 2014-03-15. ^ "Players". GNK Dinamo Zagreb. Retrieved 19 January 2019. ^ "Individualni rekordi" [Individual records] (in Croatian). Povijestdinama.com. Retrieved 2014-04-03. ^ Zdravko Reić (3 August 2009). "Zdravko Reić: Hajduk je rođen 1911., a Dinamo su osnovali komunisti" [Zdravko Reić: Hajduk was born in 1911, while Dinamo was founded by communists] (in Croatian). Slobodna Dalmacija. Retrieved 3 April 2014. ^ "Najboljih jedanaest u povijesti" (in Croatian). Povijestdinama.com. Archived from the original on 1 March 2014. Retrieved 19 March 2014. Wikimedia Commons has media related to NK Dinamo Zagreb.